The Tamil trinity, also known as the Tamil Moovar, were three composers—Muthu Thandavar, Arunachala Kavi and Marimutha Pillai—who had contributed several Tamil compositions that are sung in carnatic music recitals today. While they may be lesser known than the carnatic music trinity, their genius brought structure to the modern format of krithi and padams. Muthu Thandavar came from a family of music cultivators and temple musicians called isai vellalar. He was one of the earliest architects of the carnatic krithi format and a pioneer of padams. Honoured by the Thanjavur king, Arunachala Kavi was well-versed in Tamil, Telugu and Sanskrit, and was a master of Kamba Ramayanam and the Tirukkural, both of which were prominent Tamil treatises. Marimutha Pillai was an ace composer and a devotee of Lord Nataraja of Chidambaram. His mudra (signature) was thillai, and his songs were in the form of nindha stuthi (songs of praise by way of sarcasm), dedicated to Lord Nataraja. 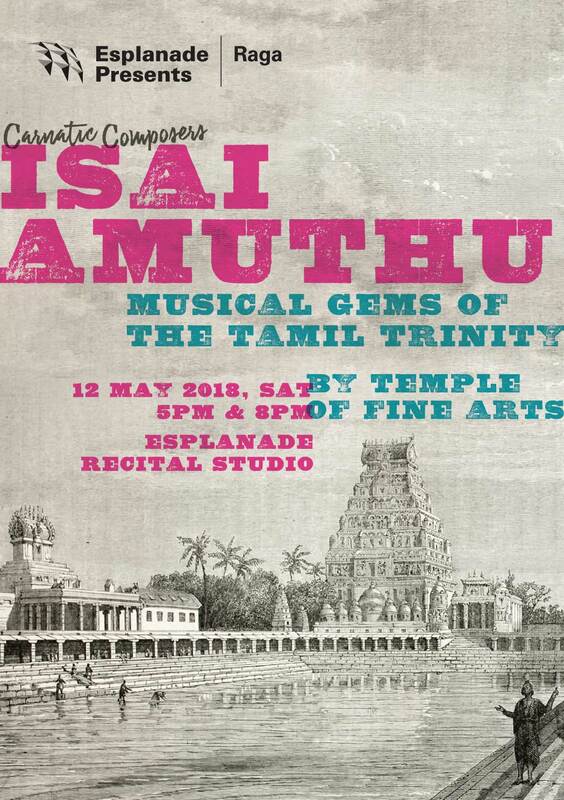 In Isai Amuthu – Musical Gems of the Tamil Trinity, the Temple of Fine Arts ensemble brings to life some of the composers' rare and recognised works, such as Eesane, Kaalai thooki and Eppadi Manam.